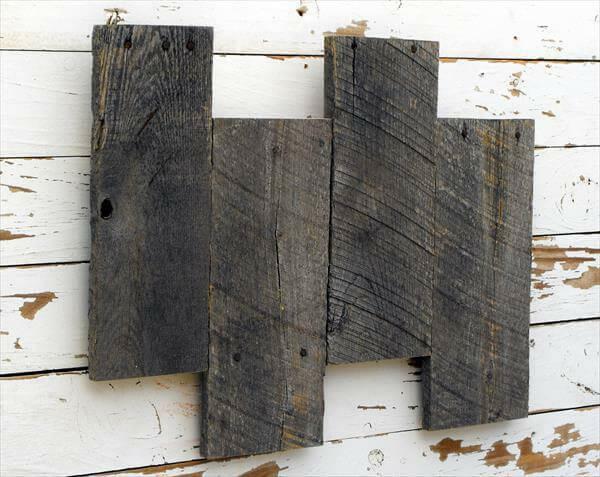 There are so many practical advices to use the pallet boards as they are found in their original state with any cutting or dismantling of them! 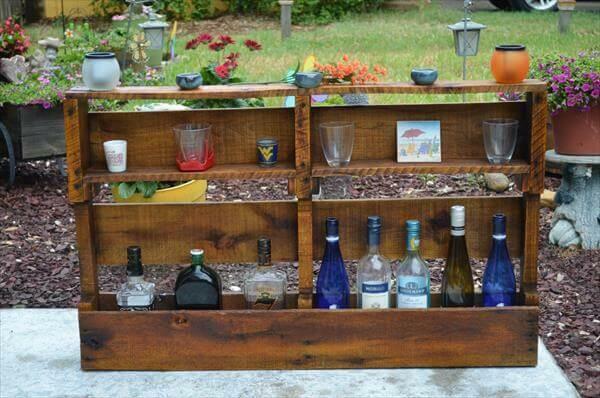 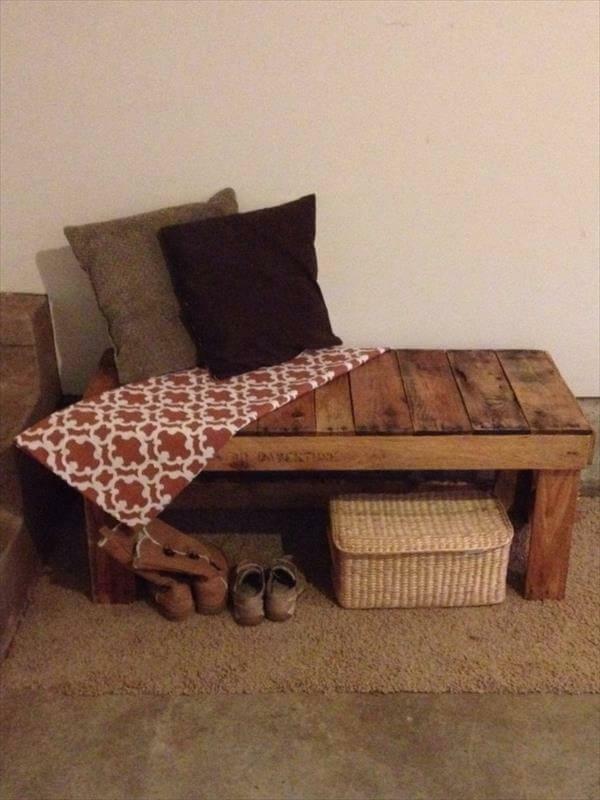 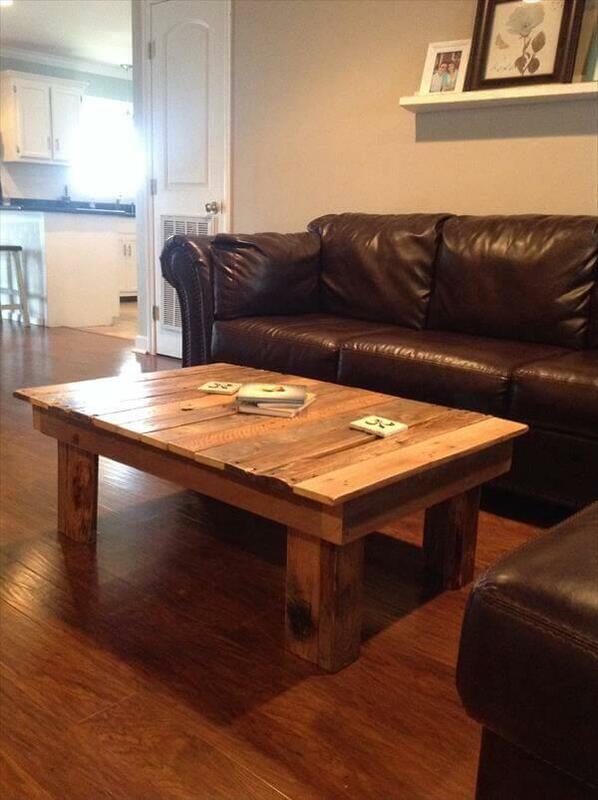 There are many timeless wooden pieces with you can build by arranging the pallets one on another! 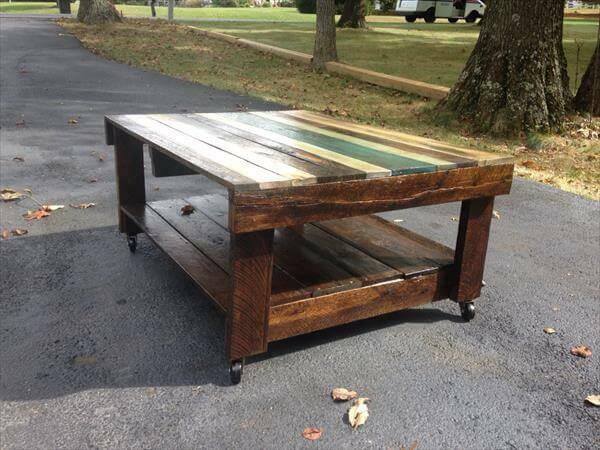 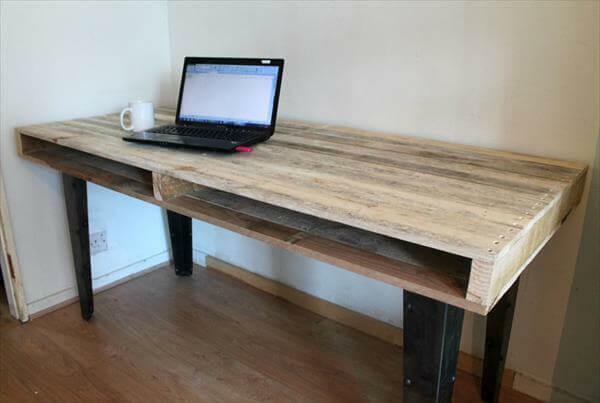 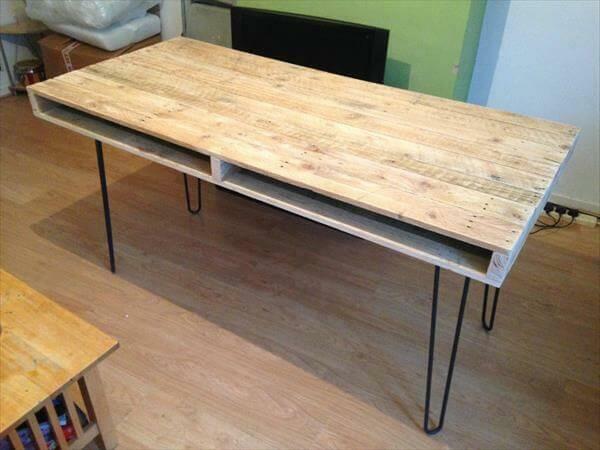 A slim shipping skid has only been finished with some wooden or metal legs to give this much useful layout of this DIY pallet slim computer desk or dining table, for either purpose of use this handmade wooden pallet top will just be rocking one! 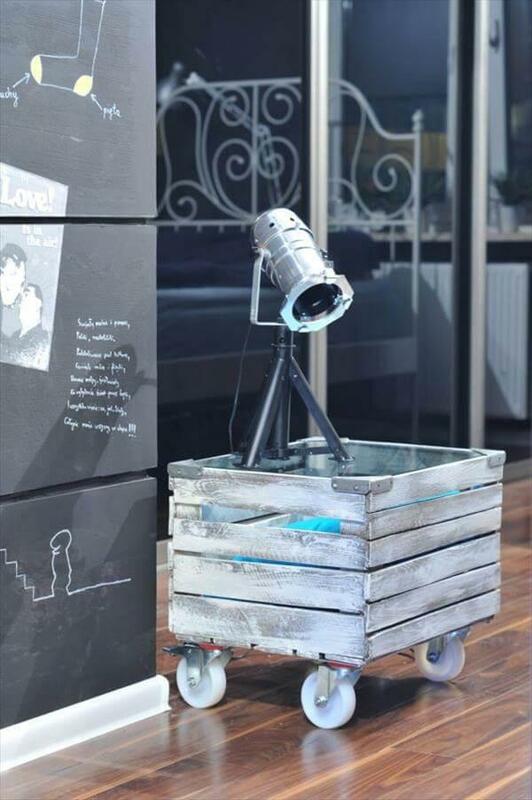 The pockets in wooden pallet boards can provide a creative bonus storage space and you should definitely be more attentive to them! 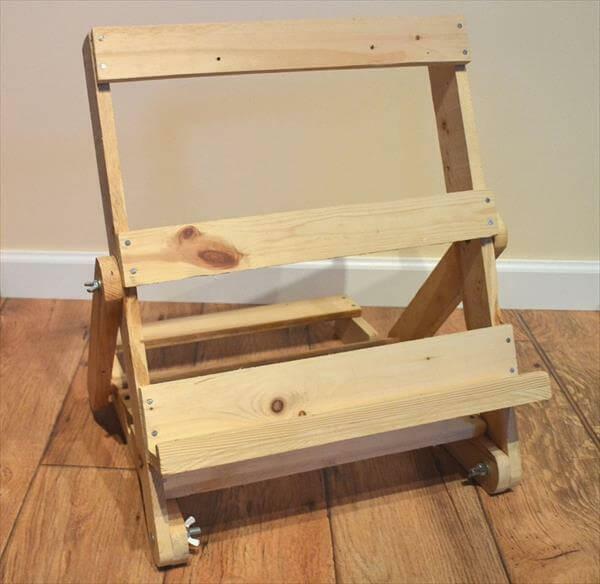 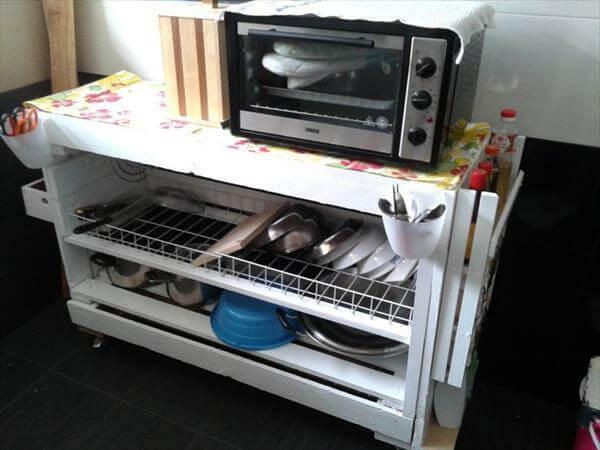 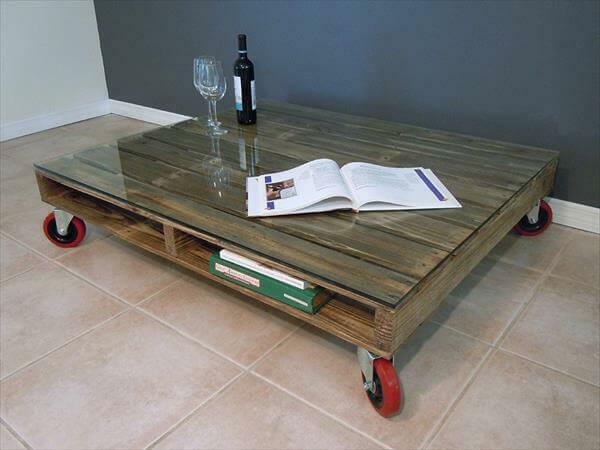 In this case of this DIY pallet table the openings in this installed pallet board may come in handy to organize your media, books and other belongings and conveniences! 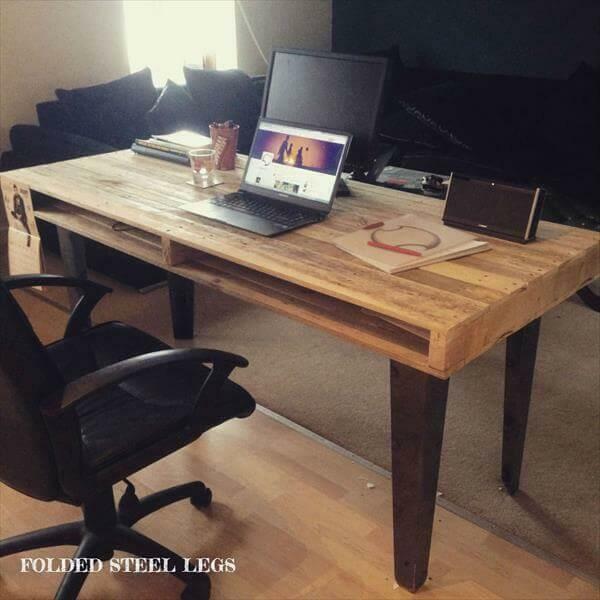 Legs may be optional in this case, you can select either the metal hairpin legs or sturdy wooden legs to make this pallet computer table beautifully all the daylong!